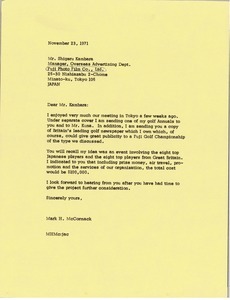 Japan - McCormack reminds Kambara of his idea of an event involving the eight top Japanese players and the eight top players from Great Britain, with a total cost of $100,000 and looks forward to hearing Kambara once he has had the time to give the project further consideration. 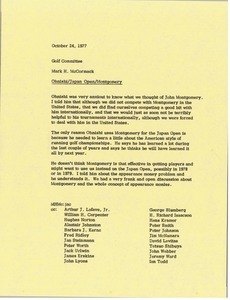 Japan - Concerning Ohnishi's use of John Montgomery for the Japan Open. 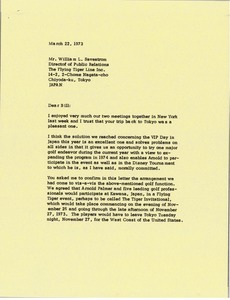 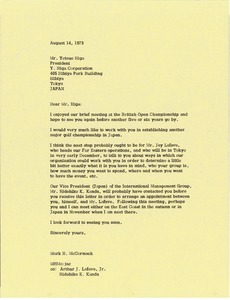 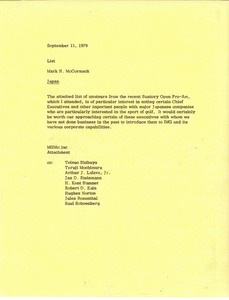 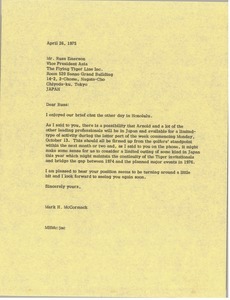 McCormack presents his opinion on the matter given to Ohnishi and notes the his desire to use them instead of Montgomery, possibly for the 1978 Japan Open. 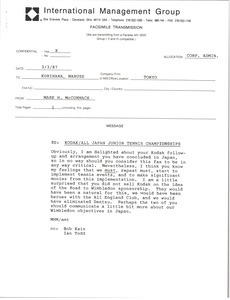 Japan - McCormack feels they must start to implement tennis events in Japan.